Bandai Namco announced Ace Combat 7 for PlayStation 4 with PlayStation VR support during the PlayStation Experience 2015 opening keynote. 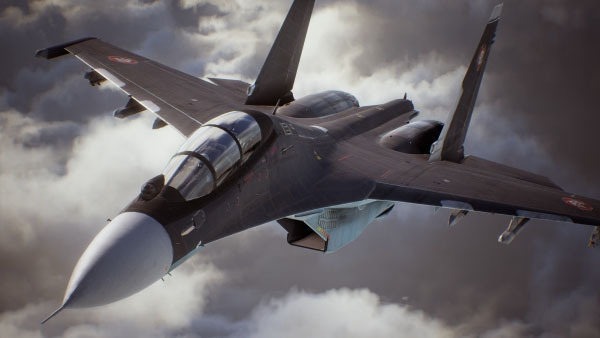 Ace Combat 7 is developed on Unreal Engine 4 and leverages trueSKY technology to produce “beautifully rendered skies and highly detailed cityscapes” and set the stage for “the most engaging aerial battles in the franchise’s storied 20 year history.” It will feature campaign and multiplayer modes. “It’s no small feat for any video game franchise to thrive over two decades; Ace Combat’s legacy lies in its tremendous quality and deep storytelling. With Ace Combat 7, we are planning on dominating the skies once again and delivering an unparalleled experience thanks to the PlayStation 4 technologies and to our team experience with their know-how!” said Hervé Hoerdt, VP of Marketing and Digital at Bandai Namco Entertainment Europe. Watch the debut trailer below. View the first screenshots at the gallery. Visit the official website here.